A new version of Operator for TSM has been released. The new version 6.6 replaces all old versions of Operator for TSM. We have added support for the Remove Replnode command. 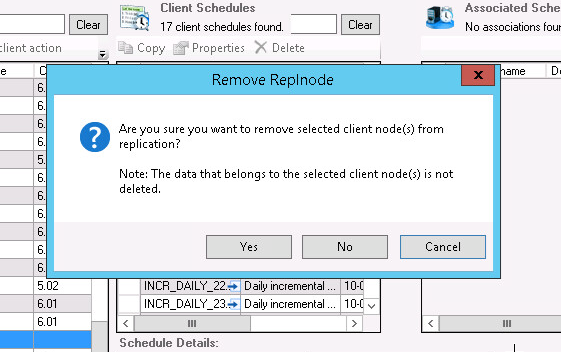 The command removes a client node from replication. 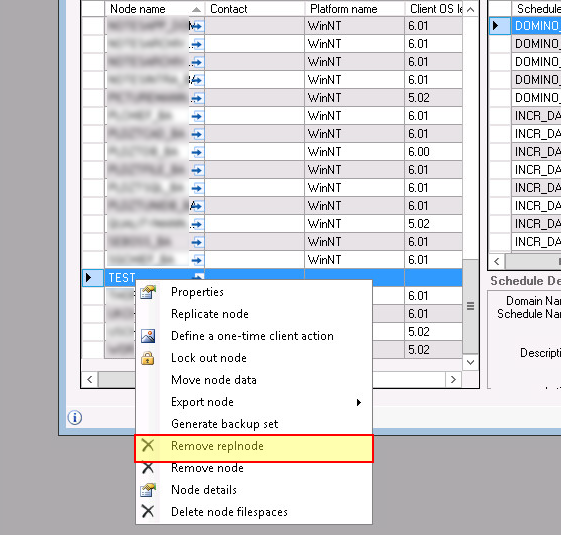 Issuing the command deletes information in the database about replication for the node, however the data that belongs to the client node is not deleted. When issuing the command, a verification dialog pops up. 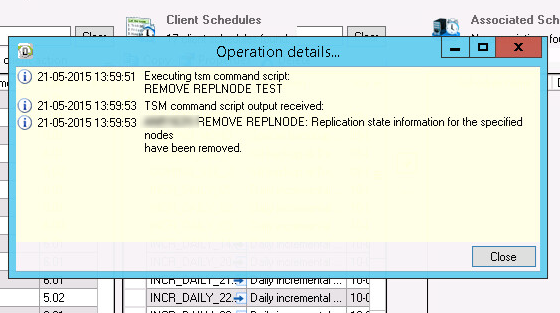 After succesfully removing the node from replication an Operation details dialog appears, summarizing the operation.